CHICAGO – In a prelim to Andrzej Fonfara-Nathan Cleverly that featured blood, various fouls and plenty of action, Kohei Kono of Japan retained his WBA world super flyweight title with a unanimous 12-round decision over countryman Koki Kameda. Kono won by scores of 118-109, 116-108 and 113-111. 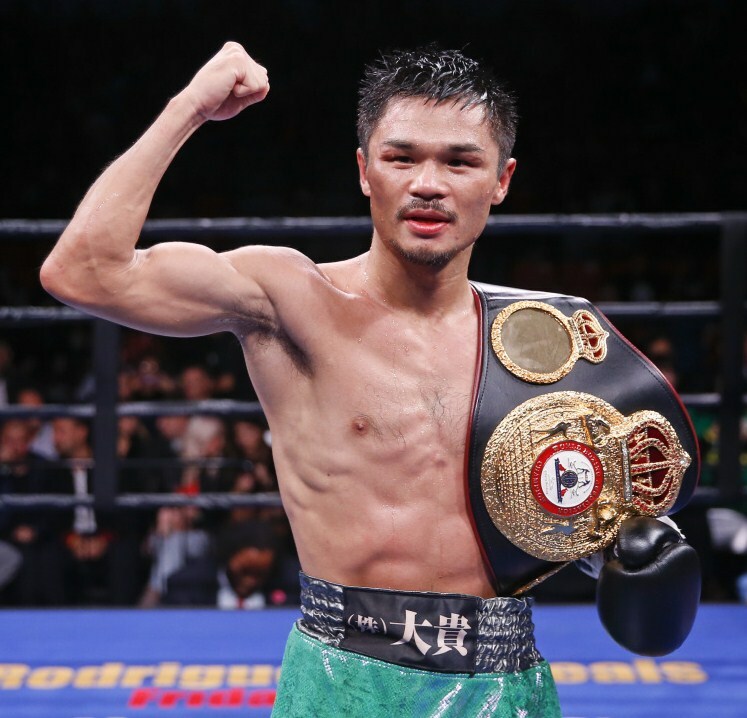 The fight started dubiously, as Kameda, 33-2 (18 KO’s), landed an assortment of low blows that sent Kono, 30-8-1 (13 KO’s), to his knees in the second round. Kono paid him back a few seconds later, dropping him with a right hand. Kameda was docked two points in round three for fouls that included low blows and elbows, which put the challenger Kameda down big on the scorecards early. And although Kono pretty much dominated the rest of the way, Kameda made him work for it. Down the stretch, the two warriors locked horns – Kameda continuing to come forward through a mask of blood from cuts that sprouted all over his face. In the ninth, Kono was deducted a point for holding – which made for a strange fight to score. In the end, Kono was just too good. He showed himself to be a tough, talented fighter who throws lots of punches (particularly the double and triple right hand), and goes to the body well. Friday’s battle was one between two inactive fighters. Kameda hadn’t fought in almost a year, as he took care of Omar Salado in four in his last fight Nov. 1 in Chicago. Kono also had to shake off rust, as he fought to a 12-round draw with Norberto Jimenez on New Year’s Eve. He won the vacant WBA world super flyweight title in March 2014, when he stopped Denkaosan Kaovichit in eight rounds in his native Tokyo.